TODAY’S SLAVE MENTALITY « THE BRYCE IS RIGHT! – An interesting theory of how people behave in this country. Slavery in the United States was abolished with Lincoln’s Emancipation Proclamation which took effect in 1863, but I’m not sure it has completely gone away. Slavery flourished in North America throughout the 17th, 18th and 19th centuries where it was an important part of the country’s economic system. Under the legendary Sugar-Rum-Slave triad; sugar was shipped from the Caribbean to Europe where it was distilled into rum, profits from this was then used to ship merchandise to West Africa where it was traded for slaves, which were sent to the Caribbean where they were sold as field hands for the sugar plantations, others were used as indoor servants. The tortuous life of the slaves involved such things as picking cotton, heavy labor, and just about every menial task imaginable. Some would try to escape, others would resist slavery and rebel, such as the famous Nat Turner rebellion in 1831. Runaways would be recaptured and returned to their master where they were brutally punished, primarily using the whip. Rebels were executed quickly and publicly. Aside from this, most of the slaves were resigned to their fate and adhered to the rules and regulations of their master thereby becoming dependent on him for food, clothing, and shelter. Consequently, they learned to live modestly, avoid responsibility, and be happy allowing someone else to take care of them. So much so, they would defend the master in perilous times knowing their livelihood depended on him. Slave codes were introduced to prohibit slaves from learning to read and write, carry firearms, attend religious gatherings, and many other activities, all aimed at controlling their behavior. This was all done to dissuade slaves from running away or rebelling, and frankly, proved to be very effective for this purpose. 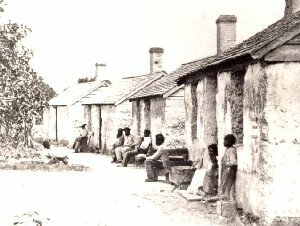 When the slaves were freed, some thrived under their new found freedom, but many others were lost and became wards of the state. They may have been freed from their masters, but were lost without someone telling them what to do. The slave mentality is still very much among us. A class of people have emerged in this country who put forth minimal effort knowing the master will take care of them (the government). As more and more people become addicted to entitlements, they become more apathetic and less likely to work. As an example, let’s consider the American Indian where we have been spending in excess of $2.6 billion annually (1) over the last few years for such things as health care, education, public safety, housing, and rural development. Despite this huge cash infusion over an extended period of time, only 25% are employed, and they suffer from the highest poverty rate and lowest life expectancy in the country. The point is, when you become a ward of the state and such amenities are guaranteed to you, there is a natural inclination for apathy to run rampant. Those imbued with the slave mentality do not simply want something for nothing, they expect it. Whereas they are content to perform simple labor, they expect their master, the federal government, to provide for their housing, welfare, health care, and other amenities. 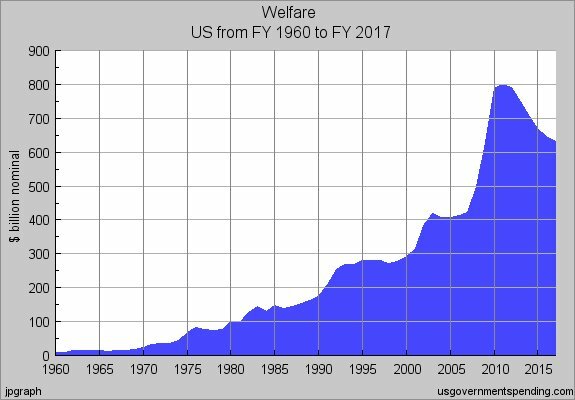 This explains why entitlements have grown at an alarming rate in recent years and why such people have no problem with a massive government. They are mindful of the rules and regulations of the master, but have no true understanding of the concept of freedom which is nothing more than a catch-phrase of the government. In contrast, those opposed to big government and actively work to sustain themselves relish freedom and truly understand the price of it in blood and sweat. They realize freedom encourages personal initiative to invent, innovate, discover, write, and create. They may either be successful or a failure, but they relish the opportunity to at least try. They are allowed to believe what they want, say what they want, go where they want, but most importantly they are allowed to be an entrepreneur with all of the risks and responsibilities involved. The slave mentality class doesn’t grasp this and shirks risk and responsibility, preferring the safety of the master instead. The slave codes of today are implemented by the media who cleverly manipulates the people’s sense of right and wrong, thereby defining how they should think and act. As George Orwell correctly observed, “The people will believe what the media tells them they believe.” Political correctness is an obvious example of how the media influences the perceptions of people. In reality, the media is controlled by the government who orchestrates the messages to the masses. From this, the slaves steadfastly protect their master by savagely attacking his detractors, either physically or verbally. Such slaves are simple people who can be easily manipulated by the media. So what exactly is the slave mentality? A person who is willing to become subservient to the government in exchange for basic creature comforts as opposed to earning it themselves. The slave unknowingly remains a prisoner and is not truly free. In reality, he/she does not understand freedom, nor do they want it for freedom requires hard work, risk, and responsibility, elements which they have been conditioned to avoid. Knowing this, the government master controls the people through simple bribery and uses the media to manipulate the perceptions of the masses. The initial reaction to this theory is to dismiss it out of hand, that wards of the state can hardly be considered slaves. However, if they think like slaves, behave like slaves, then in all likelihood they are slaves. It is important to recognize this mentality is certainly not unique to the United States; it has also become prevalent in the United Kingdom as well as other European countries. One thing we cannot overlook is that if the master’s source of money evaporates, he will be unable to take care of his slaves, and then they will have to settle for less. They may resist austerity measures initially, but they will inevitably have to fall in line. Just remember, if the slaves get out of line, the master still has the whip which he is unafraid of using. NEXT UP: SO WHAT DID I LEARN IN 2012? – Tim’s year-end wrap-up. This entry was posted on December 19, 2012 at 5:25 am	and is filed under Government, Politics, Society. Tagged: Florida, palm harbor, The Bryce is Right, tim bryce, TODAY'S SLAVE MENTALITY. You can follow any responses to this entry through the RSS 2.0 feed. You can leave a response, or trackback from your own site. I have always been taught you will appreciate something more if you’ve earned it. I believe that you’ve well defined that here–because people don’t appreciate their entitlements–they expect them, and in some instances demand them. I thrive off of a sense of accomplishment–I can not attain that sense if I do not work hard for what I want and earn it. I don’t like it when I’m given something that I haven’t earned, it is almost repulsive to me. I’m guessing I’m a dying breed–with the way things are shaping up in this country. Isn’t it the same mentality for children of the wealthy who never work and live off of trust accounts? Richard – Good point. The only difference is they are wards of the family, not the state. In other words, the tax payer is not paying for them.